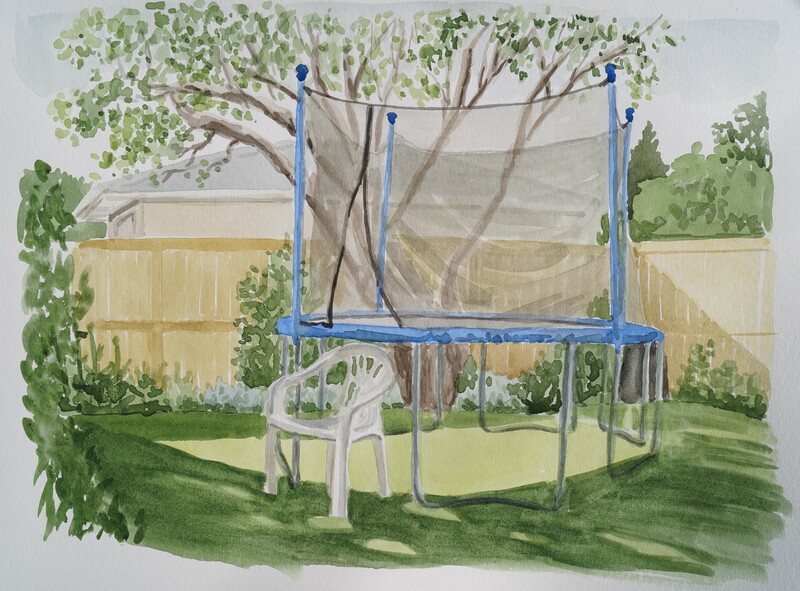 Yesterday’s painting of my backyard with the trampoline, painted in the evening. A bit of a challenging painting to do with the trampoline in it, but it was fun and I really like how it turned out. I’m loving all of them! This one turned out great with the painting of the trampoline.